2015 WATERMELON CARVING CONTEST: WHICH CARVING WILL GET YOUR PEOPLE’S CHOICE VOTE? - What About Watermelon? You are here: Home / Watermelon Carving / 2015 WATERMELON CARVING CONTEST: WHICH CARVING WILL GET YOUR PEOPLE’S CHOICE VOTE? It’s coming down to the wire as the competition for the 2015 Watermelon Carving Championship continues. Today marks the beginning of the People’s Choice voting period. In two short weeks, we will announce all of the carving contest winners. Compared to last year’s contest, this year’s contestants are definitely bringing their A-game. I’m glad to see that our fans have such talent and skill when it comes to watermelon carving. I guess you could say they really know how to use their ‘melons’ (I’m a better watermelon carver than comedian, I know). 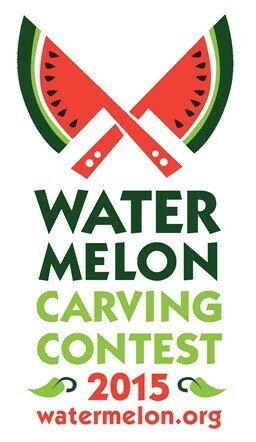 To cast your vote, stop by the 2015 Watermelon Carving Contest voting page to check out the People’s Choice award contenders, and cast your vote before August 31. We’ll announce the People’s Choice winners, the Judge’s Choice winner AND the category winners on September 8. Good luck to all of the competitors, and may the best carving win!